Morning, I hope you have all had a fab week and been able to enjoy some of this gorgeous sunshine. This week has seen the union jacks hung across the streets of London as the Jubilee weekend fast approaches. Have you hung up your bunting yet? I hope to hang some around the garden this weekend! 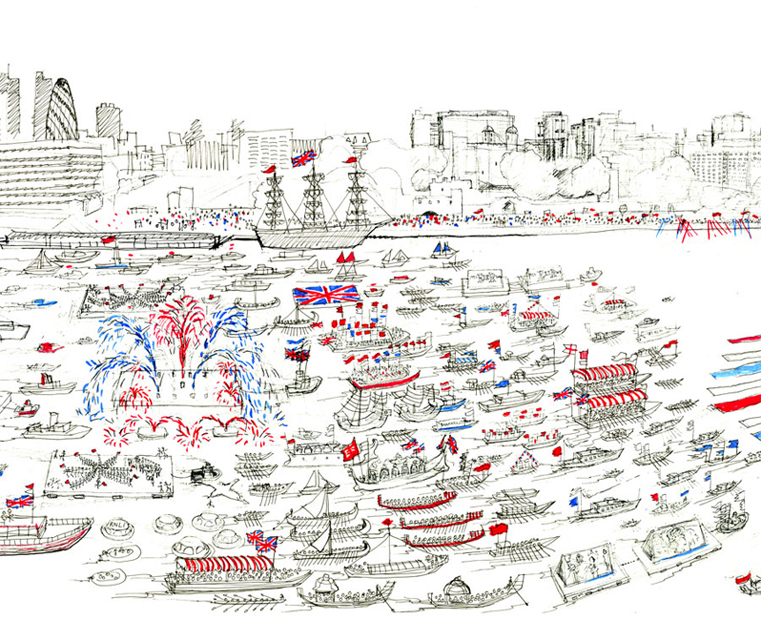 With London being the focus of the celebrations next weekend I thought today I would round up the main events happening especially for the Diamond Jubilee. will include favourite Disney songs and characters a plenty. 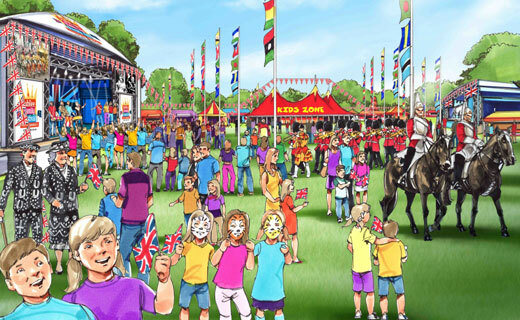 For more information visit the Jubilee Family Festival website. Monday 4 June will see Buckingham Palace become the backdrop for a star studded concert. Gary Barlow and the BBC have bought together an amazing array of stars to perform for a once in lifetime concert. Tom Jones, Elton John, Kylie Minogue, Stevie Wonder and many, many more will perform at the Diamond Jubilee Concert to celebrate The Queen’s sixty years of reign. Promenade to show off your crafty skills. So what are your plans to celebrate the Diamond Jubilee? We would love to share your celebrations here on the blog so be sure to send your photos to me (zoe@lesenfants.co.uk) and I will put together a round up in the week after the bank holiday.